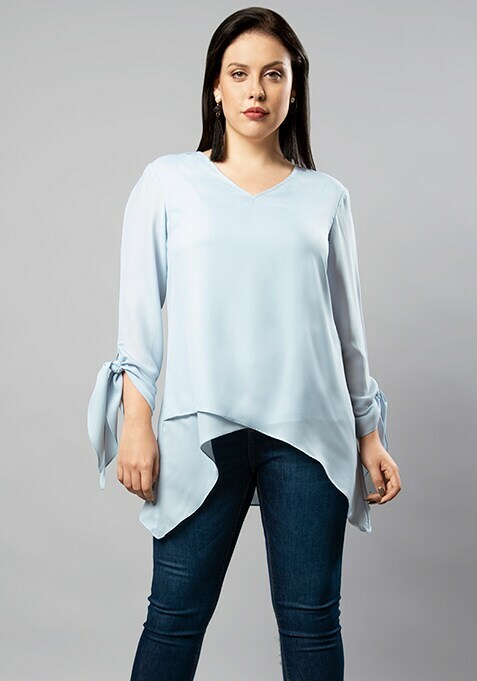 Crafted using super soft georgette, this light blue top is a wardrobe must-have for curvy beauties. Features tulip hem and tie-up sleeves. Work It: Team with high-waist skinny jeans and gilded heels.